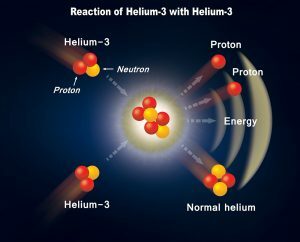 Why is Helium-3 so important for the near coming “fusion economy”? consequently be used for very efficient direct energy conversion, from nuclear to electric (about two times the steam cycle). 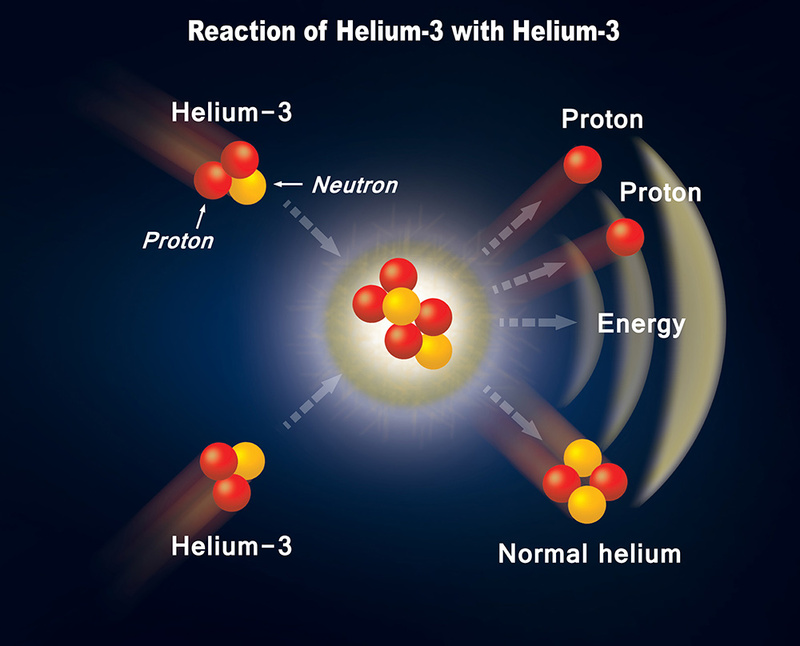 Helium-3 is the ideal fuel for an advanced “fusion economy”. 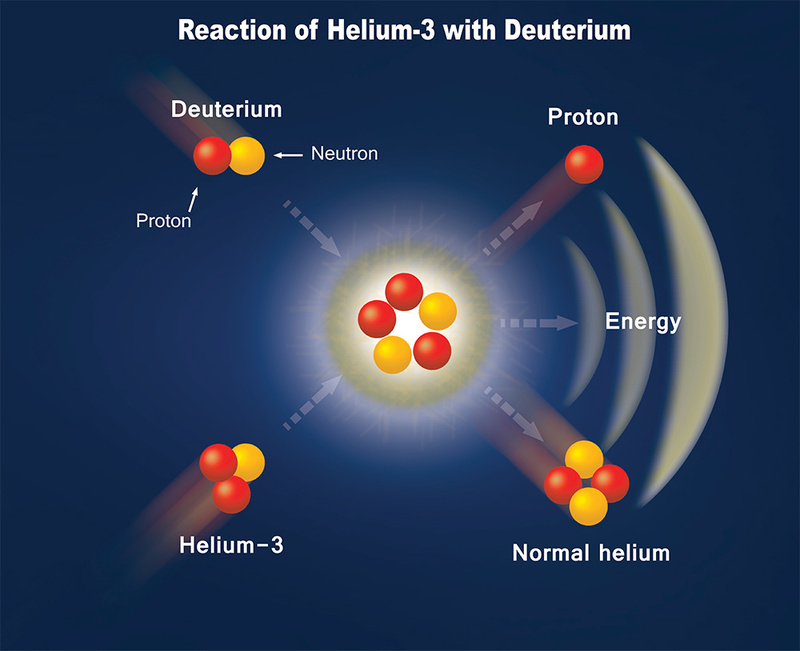 Unfortunately there is very little Helium-3 available on the Earth. However, there are thought to be significant supplies on the Moon. Several governments have subsequently signaled their intention to go to the Moon to mine Helium-3 as a fuel supply. Such plans may come to fruition within the next two to three decades and trigger a new Space Race. The estimated payoff is $3 billion per ton of Helium-3. If an affordable way to produce 3He on Earth was found, we would have at hand access to a vast potential of a completely new capability for mankind that will transform the Earth and also the Solar System thanks to the application of 3He fusion technology to space and space propulsion. Why the He-3 isotope can’t be affordably produced on Earth? The energy cost to produce He-3 would be therefore currently unsustainable. How is it possible to produce He-3 on Earth then? Prometeon and Open Power are jointly developing an innovative way to increase the cross section of the Deuterium for neutron capture. The process has been recently patented. The scientific team is currently preparing the last experiment that will allow us to complete the validation of the theoretical and of the mathematical models of the process (Full proof of concept – TRL 3). The experiment will be held in the first months of 2018 and, if it will be successful, the following step will be to build the first prototype of an affordable He-3 generator. 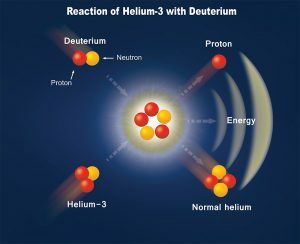 It is here important to underline that the process produces also beta particles which can be exploited to produce electricity directly from the nuclear reaction, in parallel with the production of He-3. a) Set up an adequately equipped laboratory to build and test autonomously working prototypes of He-3 generators. b) Apply for the further patent applications that are necessary to fully protect the IP. c) Build the prototypes and test them inside the laboratory. Perform a laboratory validation (TRL4). d) Large scale prototype/s tested in intended environment/s (TRL5-6). e) System prototype/s demonstration in operational environment/s (TRL7). 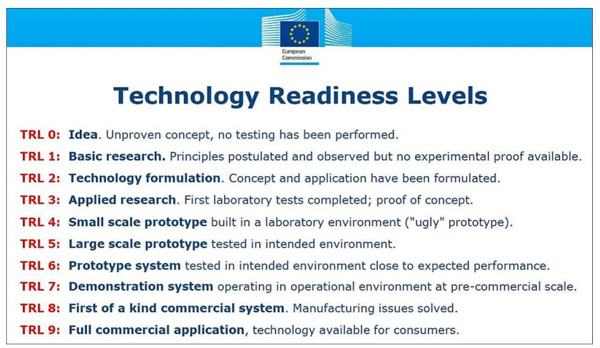 Figure: the TRLs as defined by the EU Commission. 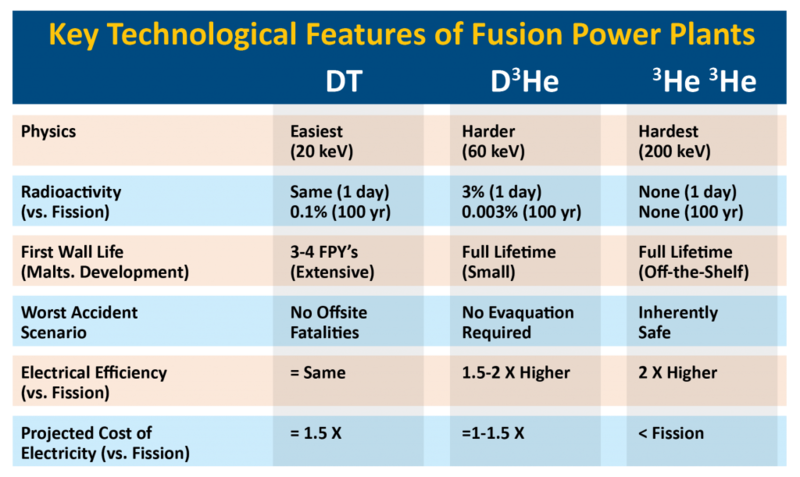 After the demonstration of an operating prototype at pre-commercial scale (TRL 7), it will be possible to sell the rights to the technology and make the technology available to big research organizations developing He-3 based technologies, to big energy companies, to space propulsion companies and to Governments interested in developing He-3 fusion power plants for their own energy needs or to sell energy to other less developed Nations.